If you happen to be walking around Fenway Park these days, you might have a nagging feeling that something just isn't right. Wait! 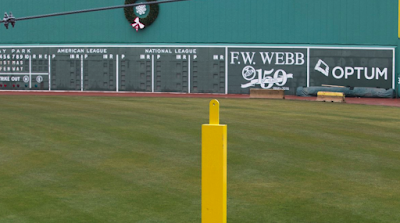 Where the heck is the Pesky Pole? Boston Globe reporter Stan Grossfeld recently had that sinking feeling. So, he asked. Turns out that the venerated mast is undergoing "repair" at an iron works in South Easton, Massachusetts—leaving a pathetic stump down the right-field line. The pole is being straightened, strengthened, re-painted and given a new lighting feature. 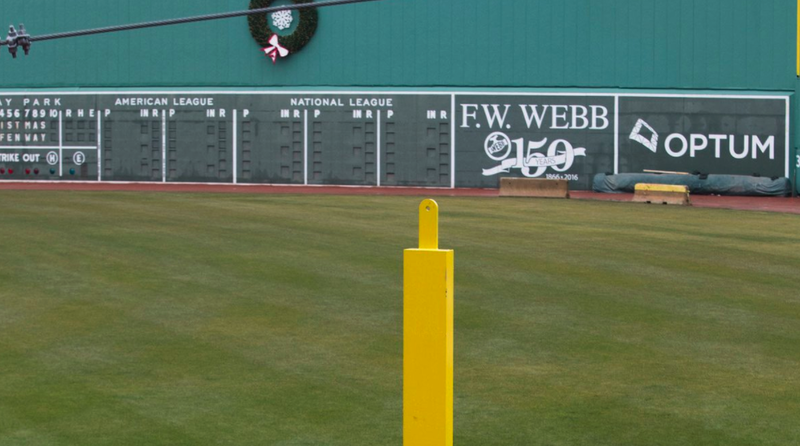 Next month, the refurbished pole will re-take its rightful place as an iconic element of Fenway Park.